As a rallying call for Catholics to support the archdiocese, GIFT depends heavily on the community and community-led initiatives. 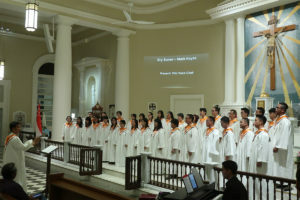 These concerts were entirely conceptualised, planned and executed by the respective choirs, with the Catholic Foundation providing support in the collection of contributions and pledges made during the concerts. 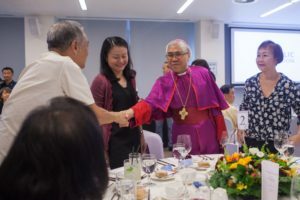 In 2018, the Catholic Foundation organised two luncheons and a dinner reception hosted by Archbishop William Goh. These events provided an important platform for the leaders of the Church to share the vision and needs of the archdiocese with guests more intimately. At the dinner, for instance, several priests and representatives of key Catholic organisations joined the guests. 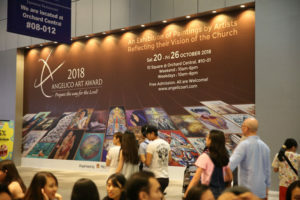 Organised by Heartspace, the Angelico Art Award is a thematic Christian art competition in Singapore that seeks to promote creative works through the integration of art and faith. Its second run was held in October 2018 in support of Catholic Foundation. Artists were invited to reflect on the theme, “Prepare the way of the Lord” (Mark 1:3), and to paint their personal vision of the Church for Tomorrow. Close to 100 entries were received and considered for the $10,000 (open) and $5,000 (youth) acquisitive awards. The Angelico Art Award was first organised by Heartspace and Catholic Business Network in 2016.